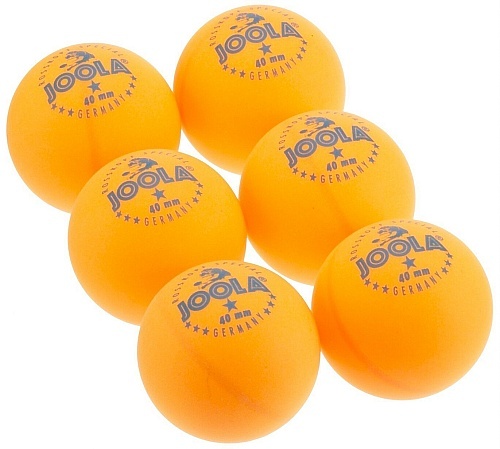 The JOOLA ROSSI One-Star Orange 40mm table tennis balls are the best ball that Joola has to offer. They are quite light compared to other table tennis balls which makes them move through the air very quickly, and they are great for beginner and intermediate players. They are very responsive, which makes it an easier ball to play with. Despite their light weight, Joola 40mm balls are rather durable. While most table tennis balls don’t have a very long life expectancy, these balls will last for months. Joola upholds their reputation for dependable table tennis balls by using high-grade celluloid. The table tennis balls are checked for performance and endurance at various points of production, which ensures quality performance. With the high quality of these table tennis balls in consideration, it is no surprise that they have been used for national and international competition. They are the official balls of many international tournaments, and are currently the official ball of the North American Table Tennis Tour. With a great balance of speed and durability, JOOLA ROSSI One-Star Orange 40mm table tennis balls are of very high quality compared to other table tennis balls. I would highly recommend these balls to beginners and table tennis connoisseurs alike and would give them a five star rating. 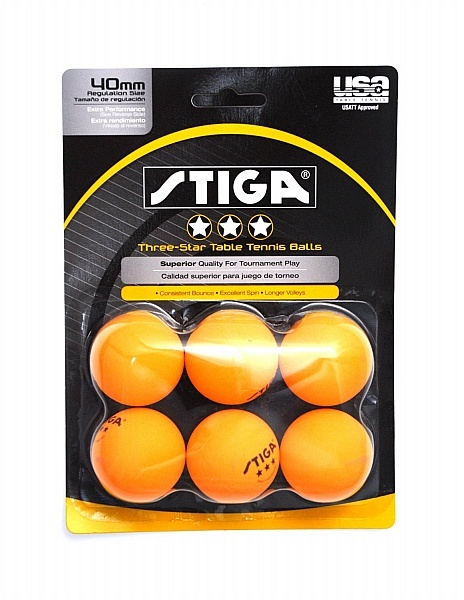 The Stiga Three-Star Orange Table Tennis Balls are the most durable and longest lasting balls Stiga has to offer. They are superior quality for competitive style play. These 40 mm ping pong balls provide consistent bounce, excellent spin, and longer volleys. You will receive 6 bright orange table tennis balls. I have used these for tournaments as well as casual play, and one ball has lasted many matches before I have to replace it. They are very durable, provide good spin and bounce, and they are easily seen over the table. Id put these on par with any professional balls available. These balls were a great pick-up for our family games. We do not play casual table tennis, but we are not the extreme type, either. My brother and I can easily tell the difference in feel and touch the 3 star balls have over the “wimpy” rec balls that we got first because they were cheap. Now that we are everyday players, these balls have yet to break, and probably wont until my brother steps on one of them. All together, 6 great balls for your money.